Take Stock Go over any equipment issues while the season is still fresh in your mind, and address any fixes you’ve put off. It’s discouraging to bust out the gear for a new season and see that core shot’s still there, that buckle’s still bent, that basket’s still missing. Clean and Store Boots Carefully Boots get filthy, especially if you’re tromping around muddy parking lots on sunny spring corn-snow days. Take them out of the bag, clean them, and also clean the inside of the boot bag before replacing the boots and storing in a cool, dry place. Remember, two things love ski boots especially: mice and mildew. Plan accordingly. Tuning Bench It’s time to dismount the vises and put the tuning tools away. Take inventory of stuff that needs replacing (wax, brake holders, worn files) and get it done now. Scrape wax drippings off bench and floor and sweep up filings and wax/sidewall shavings. Store all tools tidily, keeping all the waxy stuff (scrapers, brushes, bars/vials of wax) separate from all the metal-working stuff (files, file guides, gummi, stones) so that waxing stuff doesn’t get contaminated with filings and files don’t get clogged with wax. Protect any file-guide faces that come into contact with your ski bases from damage: even a small nick can mar your ski base with every stroke. (Do Not) Relax Binding Springs Some grizzled veterans still do this because it gives them peace of mind to know that their release spring is relaxed and therefore not at risk of permanent deformity (or whatever), but this isn’t necessary anymore, if it ever was. If you do loosen, it’s crucial to remember to retighten in the fall (or risk prerelease and possible injury on your first run of the season). Tape a reminder to your toepieces with DIN values written down. And remember if you do touch your DIN settings you’re letting shop and manufacturer off the hook in event of a binding malfunction. Plan For Next Season Season passes are already on sale for next year, so take advantage of the low prices now. Mt. Rose, Nevada For the first time in resort history, Mt. Rose will be operating through Memorial Day this year. To celebrate, they’re having a No Pants Weekend—so bring your swimsuits, Daisy Dukes, or grass skirts—anything but your ski pants. Killington, Vermont Killington’s projected closing date is June 1st, but since they start their summer activities on May 27th, you’ll be able to ski, golf, and mountain bike all of Memorial Day Weekend. The perfect holiday trifecta. Mammoth Mountain, California Thanks to massive snowfall this season, Mammoth hasn’t even announced its closing date yet. This Memorial Day weekend they’ll be hosting a Military Skis Free day, retail sales for next year’s gear, and DJs all weekend long. Squaw Alpine, California After its snowiest winter on record, Squaw hasn’t yet announced its closing date either (it’s hoping to remain open into July). Anyone with a Tahoe Super Pass gets to ski or ride free during Memorial Day weekend, and friends of pass holders can buy passes for $19. Mt. Bachelor, Oregon Mt. Bachelor isn’t open on Memorial Day itself, but it’s open the Saturday and Sunday before, closing out its season on May 28th with a pond skim, beer fest, and live music. Timberline Lodge and Ski Area, Oregon Located right next to a glacier, Timberline’s version of spring skiing doesn’t even include slush. It keep its lifts spinning not only past Memorial Day, but well into the summer, giving Timberline one of the longest ski seasons in North America. Snowbird, Utah With the longest season in Utah, Snowbird will be open Friday through Memorial Day this year, and then will remain open on weekends for as long as conditions allow. 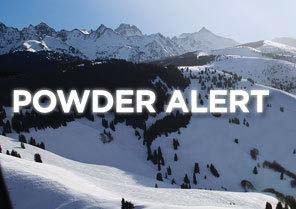 Aspen Mountain, Colorado After 18 inches of new snow this last week, Aspen Mountain will reopen Saturday, Sunday and Monday with 130 acres of its intermediate and advanced terrain skiable from 10 a.m. to 2 p.m., via the Ajax Express. Arapahoe Basin, Colorado A-Basin is usually the last resort to close in Colorado, staying open until June 5th this year, with a bonus weekend from June 9th to 11th. Its Memorial Day weekend festivities will feature the Shakin’ at the Basin Spring Concert Series and the Brewpub Festival.